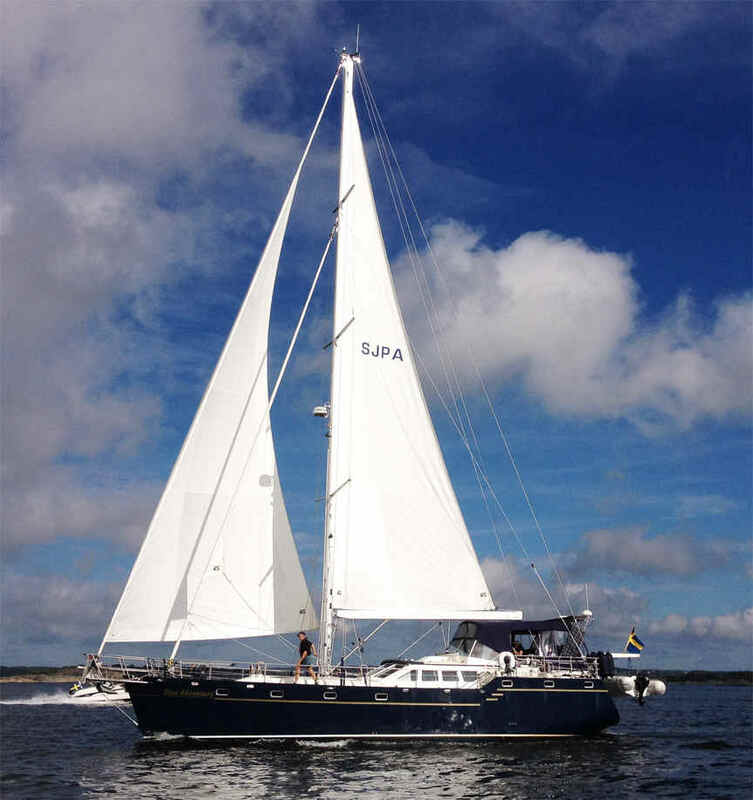 VOYAGER 542'S under sail - You can build your own ! NEW ! SUPER STUDY BOAT PLANS ... Delivered by DOWNLOAD to your computer within 12 hours of you placing your order. The study plans have lists of materials & equipment etc & these will be useful in costing out the complete boat. 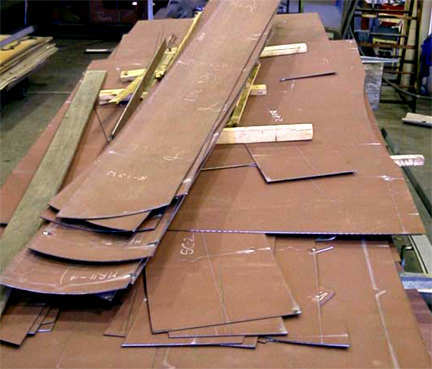 Each STUDY PLAN contains ALL the construction drawings for each material - STEEL & ALUMINUM as applicable to the particular boat plan - with up to 25 sheets per plan! Lists of materials - Technical information - Numerous construction drawings are all included. You can view & print the drawings in full or in sections. BUILDING PHOTOS are included in the study plan package. 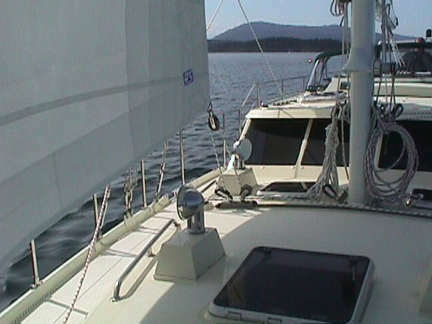 PLUS you receive a FREE (value 79.95) e-book BUILD YOUR OWN SAILBOAT. Please note that when you receive your credit or debit card statement the amount will be converted to YOUR local currency. 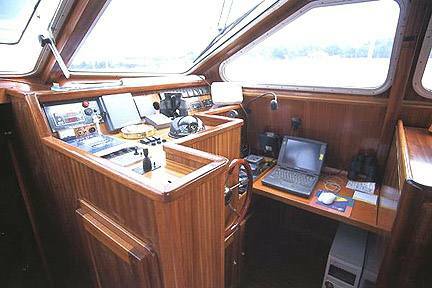 SPECIAL INTRODUCTORY OFFER: COMPLETE BOAT PLANS CUTTING FILES ... Delivered by DOWNLOAD to your computer within 12 hours of you placing your order. 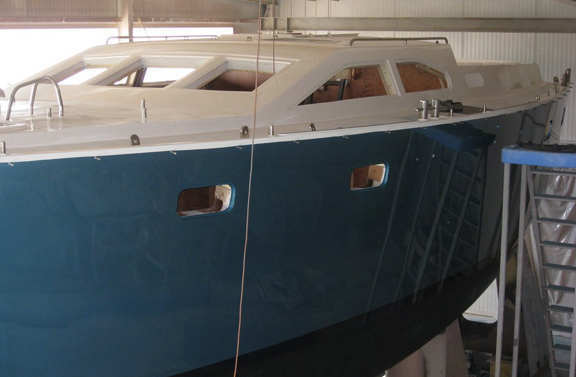 The plans have all the information you need to build your own boat.. Each plan contains all the construction drawings & CUTTING FILES for STEEL or ALUMINUM construction, plus bonus drawings covering electrical, plumbing and engineering, everything you need to build your boat. STEP BY STEP ASSEMBLY PHOTOS INCLUDED WITH THE PLANS & CUTTING FILES. This is one big robust world cruiser ! Based on the well proven Roberts 532 (many sailing world-wide ) was used as the basis of this new kit. Already several Voyager 542's have been completed from our kits and cutting files. 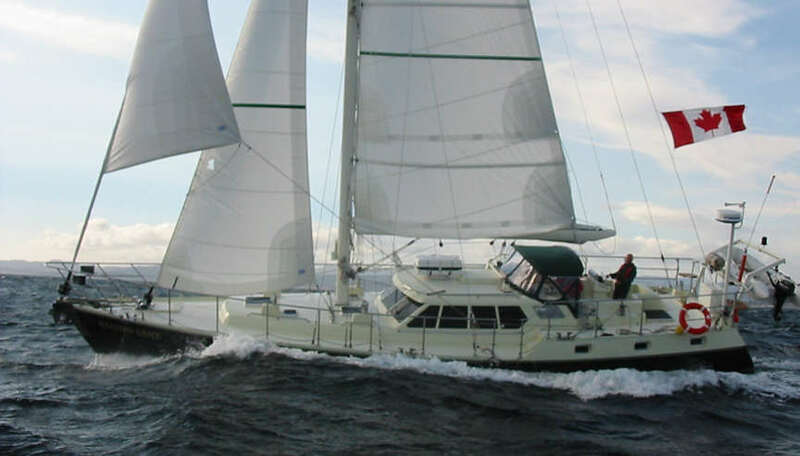 If you are dreaming about having a sail or power boat.... - If you are like me, you want to have a big boat but can't afford to buy one, talk to Bruce Roberts. He always has some type of special sale going on. L.O.D. 16.45 m 54' 4"
L.W.L. 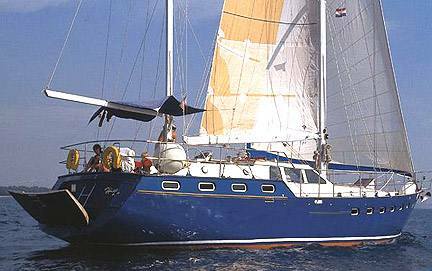 14.8 m 48' 8"
TWIN KEEL version now available - Email BRUCE for more details. Quick note regarding the V542 / V 544 aluminum for Gordon Hellman. 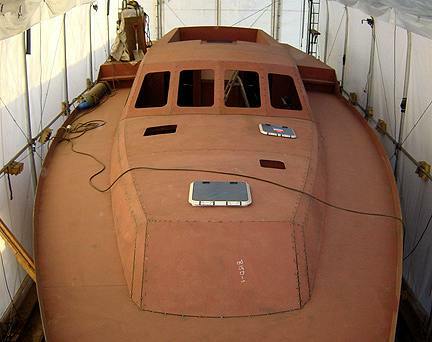 Had a chat with Manfred Kanter jr who’s yard is assembling the hull for Gordon. They are VERY pleased with the ease of assembly, the marking and the fairness of the kit.! The boat now is all closed up, awaiting rudder & chain plate install, and finally windows & hatches. My correspondence with Manfred indicates they started July and are assembling the kit, so theyre moving right along..! It has now gone 8 months since I started building our boat and everything goes as planned so far. My goal is that I should finish painting the boat in Aug-Sept. We are very satisfied with the construction of the kit, everything fits perfect. TO THIS - IN JUST A FEW MONTHS ! 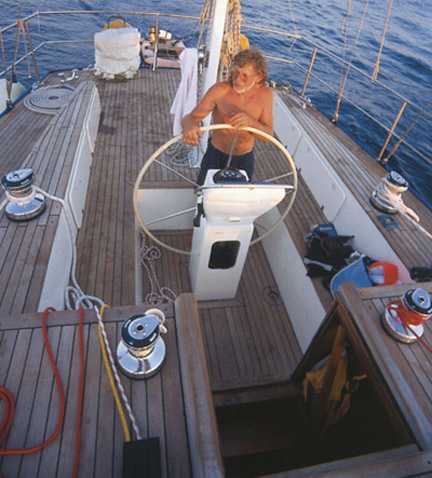 Tamas Toth is building this radius chine sailboat and is doing a beautiful job. 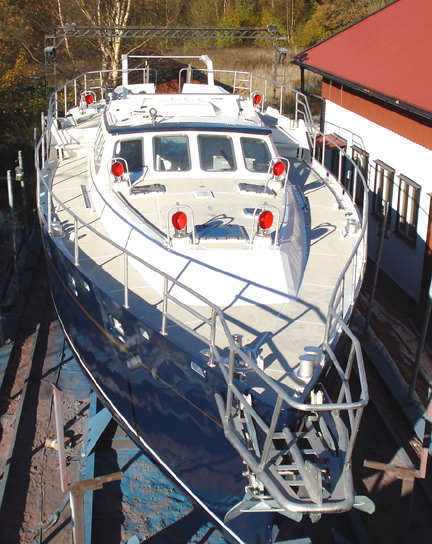 We have over 100 STEP by STEP photos of the building of this boat from one of our CUTTING FILE packages - YOU can see all these photos and MUCH more in our super STUDY PLAN package. The Voyager DS 544 has a single sheer-line ( No poop stern ) and is otherwise identical to the V542. You choose either the Voyager 542 ( Poop stern ) or the Voyager DS 544 (Single sheer-line) when you order the CUTTING FILES and plans for this sailboat. be laid out below decks. Note the two double cabins aft ... 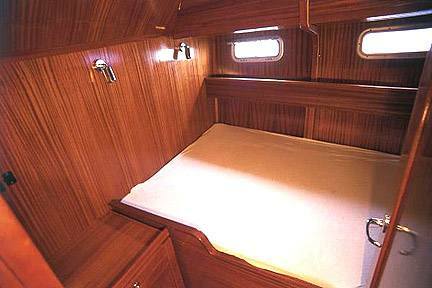 This is a proven charter layout as used in Western Grace. Harrison "Smitty" Smith built the AKVAVIT in Stanwood, Washington, with a lot of help from his girlfriend Lori. Smitty taught Lori to weld and apparently she did a lot of the welding on the AKVAVIT. I haven't found any bad welds yet. ROBERTS 53 / 532 SUCCESSFUL FISHING BOAT ! 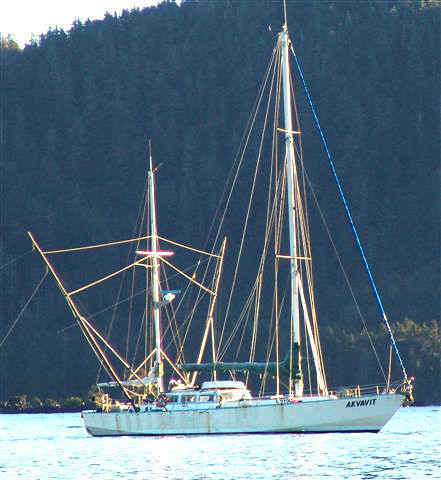 I am the current owner of a steel hulled Roberts 53 ( Now R532 ) ketch. It was built in 1985 by a commercial fisherman for commercial salmon and albacore trolling and thus it has a fish hold where there would typically be cabin space. 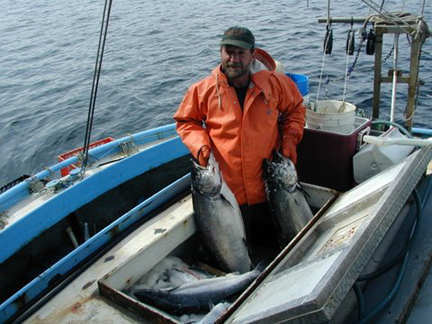 I have owned this boat for five years and I use it for commercial salmon trolling in Alaska. 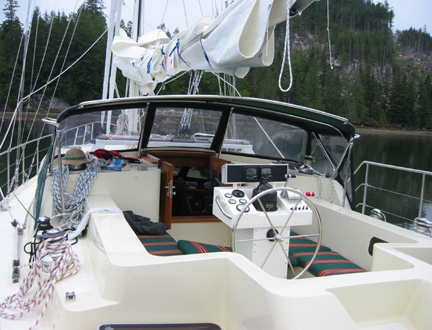 I have owned and worked on dozens of different boats and this Roberts 53 is my favourite of them all. I hope to continue making a living on this boat for as long as I am healthy enough to do it. This is more than a job to me, it is a life that I love. There are not many sailboat/commercial fishing boat combinations that work well, but this is one of them. 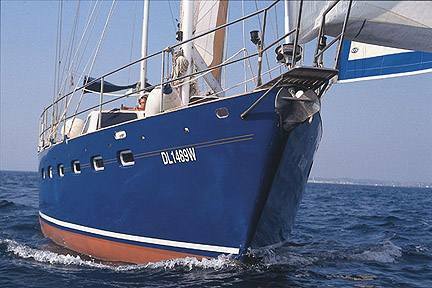 I use the sails to get out to, and back from the fishing grounds when the wind is favourable. I use the engine for actual trolling, and for running in no wind or un-favourable wind. The engine (a Detroit Diesel 371) also powers hydraulic fishing and anchor winches. The boat holds 1400 gallons of diesel, and on a typical 5 day fishing trip burns around 120 gallons of fuel. Hello Bruce - I happened onto "Western Grace" in Campbell River, BC yesterday - you need to see the exterior finish, and attention to detail on the deck of this boat! - stainless steel inserts where ever a screw goes into the hull - inset windows (now I see why you promote them) - the best thought out combination of bulwarks, chocks and cleats I've ever seen - bulwark design also makes the railing/stanchion incredibly straight forward - engine air intake, tank vents, fills, and power connections well located and concealed - wide 45 degree intersections at the cabin top/side joint (you know, you could easily incorporate that feature into your kit hulls, and make them really stand out). The exterior simply has incredible details that should be on your site - and a level of finish that leaves you trying to figure out what the boat is made of. The inside finish is also superb, the various installations well thought out and executed.